A Consul é uma empresa brasileira de eletrodomésticos. No Brasil, o grupo é também dono da marca Brastemp. 06/02/2019, 20:15 New Discount Coupons on Consul! 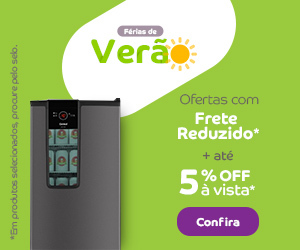 Ar condicionado e Cooktops com 10% OFF. 31/01/2019, 21:48 New Consul Discount Coupons! Discount Coupons in the Consul 2018 Offer - Appliances! 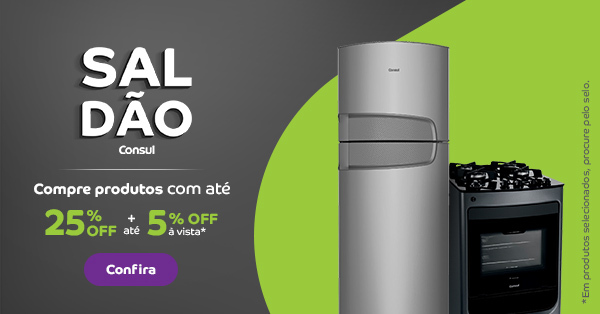 5% OFF em eletrodomésticos selecionados. 03/01/2019, 20:10 New offer and banners in Consul 2018! New offer and banners in Consul 2018! Saldão Consul: Buy with up to 25% OFF + 5% in sight! 14/12/2018, 16:54 New promo and Banner in Consul! Campaign Consul 2018 - eletrodomésticos! New Banners and New Promotion of the Consul 2018 Campaign. Increase your sales! Discount coupon of 5% OFF for mix of the collection in the Consul 2018 Campaign! 09/10/2018, 22:07 New promos in Consul! 30/07/2018, 23:20 New coupons in Consul! Consul is a Brazilian company of home appliances. In Brazil, the group also owns the Brastemp brand.